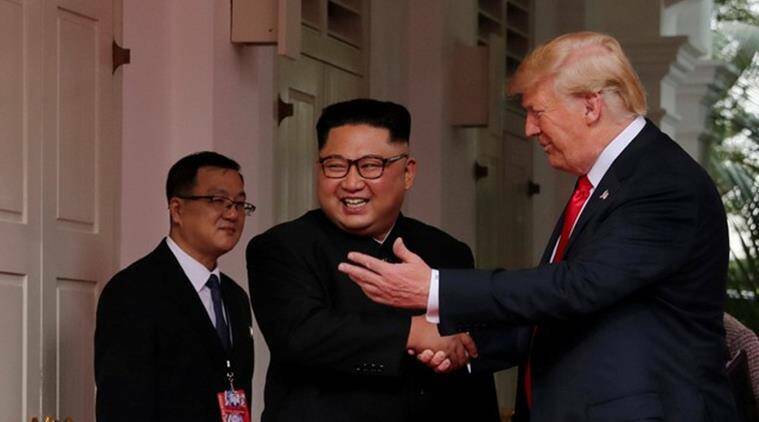 Donald Trump-Kim Jong-un summit highlights: In a historic summit, US President Donald and North Korean leader Kim Jong-un met in Singapore on Tuesday. This is the first-ever meeting between leaders of the two countries. Get the latest news here. 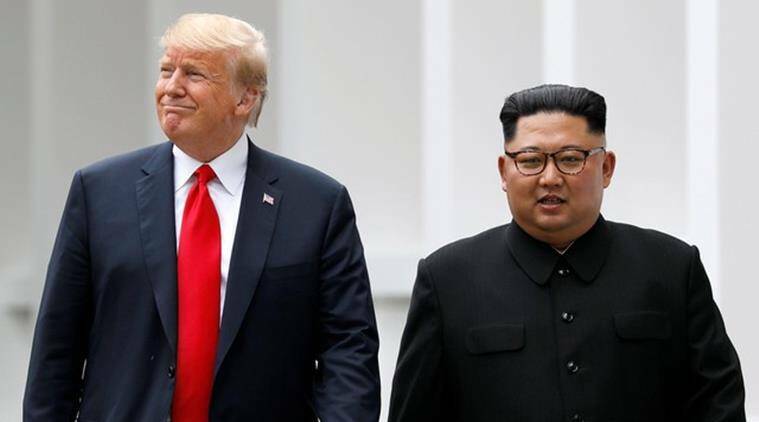 TRUMP-KIM MEETING: Kim Jong-un on Tuesday, in a historic meeting with the US President Donald Trump in Singapore, committed to complete denuclearisation of the Korean Peninsula. Donald Trump also agreed to provide security guarantees to the Democratic People’s Republic of Korea (DPRK). Both the leaders pledged to joint efforts to build a peaceful and stable regime. The two leaders, who in the morning shared the historic handshake, also went out on a small stroll post lunch. Both men walked to Trump’s bullet-proof limousine, nicknamed “The Beast”, and looked in at the rear seat, with Trump apparently showing Kim something inside. They then resumed their walk. 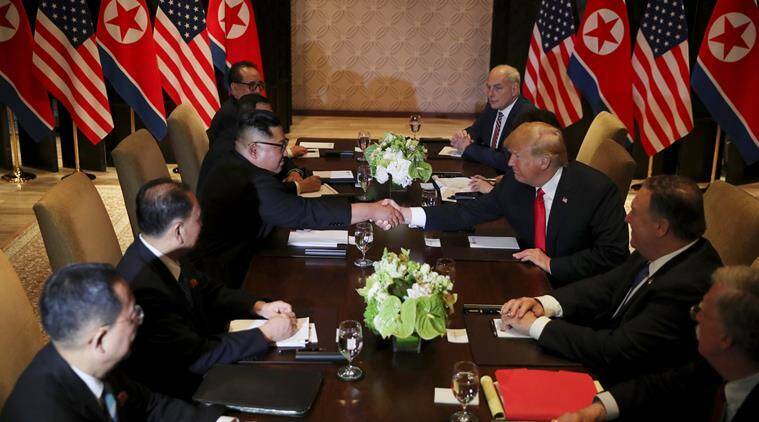 The meeting marks a dramatic shift in relations between Trump and Kim Jong, who traded insults and threats of nuclear war till early this year. An Israeli Cabinet minister says the meeting between President Donald Trump and North Korean Leader Kim Jong Un was important for the Middle East. Yuval Steinitz tells The Associated Press that North Korea giving up its nuclear weapons would send a ``strong'' signal to Iran. He says it would ``increase the pressure on Iran'' to give up its nuclear infrastructure and capabilities. UN Secretary-General Antonio Guterres today welcomed the summit between US President Donald Trump and North Korean leader Kim Jong Un as "an important milestone" toward the denuclearization of the Korean peninsula. Guterres urged all those concerned to "seize this momentous opportunity" and again offered UN help to achieve the goal of dismantling North Korea's nuclear weapons program. South Korean President Moon Jae-in (jah-YIHN') says his country could help North Korean and U.S. efforts to find the remains of U.S. military personnel missing in action and presumed dead from the 1950-53 Korean War. Moon's office says he made the proposal to President Donald Trump as they spoke over the phone after Trump's summit with North Korean leader Kim Jong Un in Singapore. Over the years neither has India offered its fullest support to the country on account of the relations necessitated with South Korea and America, nor has it completely alienated itself from the region as a consequence of the troubled relations it shares with Pakistan and China. U.S. President Donald Trump on Tuesday praised China's President Xi Jinping for helping secure an agreement towards North Korea's denuclearisation, and said the deal would be good for Beijing. "Making a deal is a great thing for the world, it's also a great thing for China, I can't imagine that China is happy with someone having nuclear weapons so close, so China is very happy," Trump said. 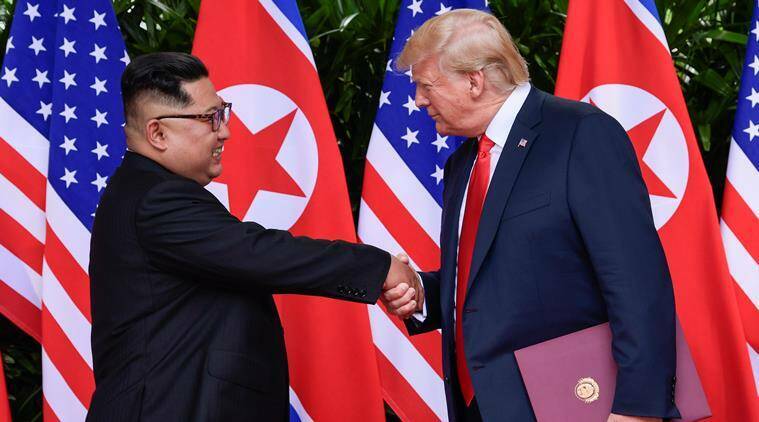 South Koreans cheered, Iran warned that President Donald Trump should not be trusted and China said it may be time to discuss lifting sanctions on North Korea as Trump and North Korean leader Kim Jong Un held an unprecedented summit Tuesday in Singapore. North Korea's commitment to denuclearisation is a signal that its leader, Kim Jong Un, has finally heeded the message after a meeting with U.S. President Donald Trump, a statement from foreign minister Boris Johnson said on Tuesday. China suggested Tuesday that the U.N. Security Council consider suspending or lifting sanctions against North Korea if the country is in compliance with U.N. resolutions and making progress in diplomatic negotiations. Fox News quoted Trump as saying: "I just think that we are now going to start the process of denuclearization of North Korea"
"I just think that we are now going to start the process of denuclearization of North Korea. I believe that he's going back and will start it virtually immediately," Trump said in excerpts of the interview broadcast on Fox after the U.S.-North Korea summit in Singapore. The joint agreement signed by Donald Trump and Kim Jong-un is light on specifics and does not detail how the goals would be achieved, analysts say. There is no clarity as to how the negotiation will lead to deunclearisation. The document also made no mention of the international sanctions that have crippled North Korea’s economy for pursuing its nuclear weapons programme. * The United States and the DPRK commit to establish new U.S.-DPRK relations in accordance with the desire of the peoples of the two countries for peace and prosperity. * The United States and the DPRK will join their efforts to build a lasting and stable peace regime on the Korean Peninsula. * Reaffirming the April 27, 2018 Panmunjom Declaration, the DPRK commits to work towards complete denuclearization of the Korean Peninsula. * The United States and the DPRK commit to recovering POW/MIA remains, including the immediate repatriation of those already identified. In the "comprehensive" document signed by Donald Trump and Kim Jong-un, the North Korean leader has committed to the complete denuclearization of the Korean peninsula. 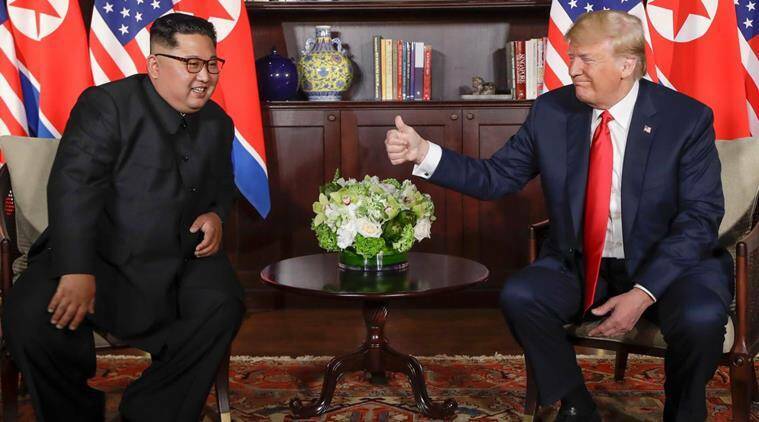 Both the countries have also committed to establish new US-DPRK (Democratic People's Republic of Korea) relations and build a lasting and stable peace regime. President Trump committed to provide security guarantees to the DPRK. Follow-up negotiations to be held by U.S. Secretary of State Mike Pompeo and a North Korean official. In the comprehensive document signed between Kim and Trump, the North Korean leader has committed to 'complete denuclearisation of Korean Peninsula,' reports AFP. The news agency also adds that the US has committed to "security guantees" and establishment of "new US-DPRK relation." New friendship on the horizon? Donald Trump and Kim Jong-un shook hands and exchanged farewells after signing the document. Both the leaders are likely to leave Singapore today. Addressing the media, Donald Trump said North Korea's denuclearisation process will be starting "very quickly." "We're very proud of what happened today. Our whole relationship with North Korea and the Korean peninsula will be a much different situation than it has in the past," he said, reported BBC. He has also invited Kim Jong Un to the White House. 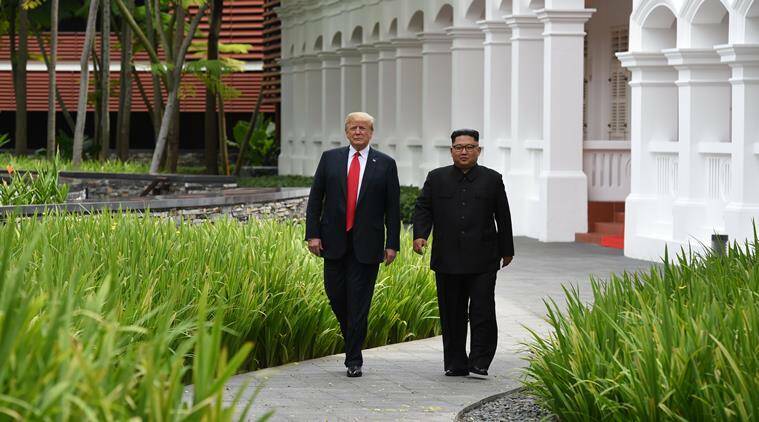 In case you are just joining us, US President Donald Trump and North Korean leader Kim Jong-un on Tuesday met in Singapore. Both the leaders shook hands and engaged in a closed-door one-on-one interaction. Both remained hopeful of a fruitful summit. While Trump suggested a "terrific" relationship with North Korea, Kim Jong said that the road to the summit was not an easy one. Both the leaders then engaged in a bilateral talk along with the senior officials of the US and North Korea. After the talks, Kim and Trump went on a small walk where Trump added that the meeting was 'better than anybody could have expected,' and that there is some kind of 'signing' that will now take place between both the countries. They are shortly expected to address the media. This is the first-ever meeting between leaders of the two countries. The meeting marks a dramatic shift in relations between Trump and Kim Jong, who traded insults and threats of war till last year. "A lot of progress - really very positive. I think better than anybody could have expected. Top of the line, very good. We’re going now for a signing," Trump told journalists, without giving details on what would be signed. Both men walked to Trump's limousine and looked in at the rear seat, with Trump apparently showing Kim something inside. They then resumed their walk. In support of DPRK- USA Spore Summit, road closures will be effected along roads in vicinity of Sentosa towards Tanglin Rd within the hour. Motorists can expect delays. Motorists are encouraged to plan their journeys early, follow directional signs & instructions from the Police. What's for lunch on Trump and Kim's plate? President Donald Trump and North Korean leader Kim Jong Un chatted over a lunch of beef short ribs, sweet and sour crispy pork, and braised codfish. Details released by the White House show that lunch began Tuesday with a prawn cocktail and avocado salad, and green mango kerabu with honey lime dressing and octopus. Side dishes included potato dauphinois, steamed broccolini, fried rice and Asian vegetables. Dessert included dark chocolate tartlet and Haagen-Dazs vanilla ice cream. Prawns, short ribs, pork fried rice, ice cream. Popular Indian dishes like Pulao and Chicken Curry, are among the 45 other varieties that are being served to the global media who are in Singapore to cover the unprecedented meeting between Donald Trump and Kim Jong-un, PTI reported. The report further states that 45 dishes across 15 cuisines will be served to the reporters to suit all palates. On offer is also Indian, Singaporean, Malaysian, Vietnamese, Thai, Korean, Japanese, Chinese, French, American, Italian, English, Australian, Brazilian and Middle Eastern food, Sats, Airport ground handler and food firm, which will be providing the lunches and dinners, the Strait Times reported. Indian dishes like Pulao, Fish Curry, Chicken Curry and Papad will be served at the F1 Pit Building - the official media centre for the summit - in downtown Singapore. Apart from this, quintessential Singaporean dishes like laksa and chicken rice will also be served. Over 23 different products made with kimchi, a Korean staple of spicy and pickled cabbage, including specially customised products such as Kimchi Jiggae Soup and Kimchi Ice Cream will also be available. How did the historic summit unfold sice this morning? With the eyes of the world set on them, Donald Trump and Kim Jong-un displayed an initial atmosphere of bonhomie. Both men had looked serious as they got out of their limousines for the summit. But they were soon smiling and holding each other by the arm, before Trump guided Kim to the library where they held a meeting with only their interpreters. In the wake of the Trump-Kim meet, the dollar jumped to a 3-week top on Tuesday. South Korean shares slipped 0.1 per cent while Chinese shares were in the red too with the blue-chip off 0.4 per cent. Australian shares were a tad firmer. The lead from Wall Street was mixed overnight, with the Dow barely changed, the S&P 500 up 0.1 per cent and the Nasdaq adding 0.2 per cent. Many analysts said the bar was pretty low for what will be deemed a successful summit, given the past failures in talks with North Korea. 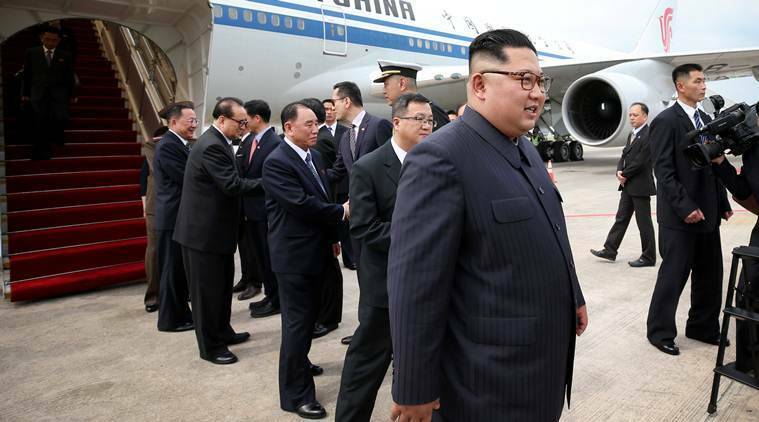 According to North Korean media, Kim Jong-un arrived at the Sentosa Island seven minutes earlier than Donald Trump to show respect to the US President. The North Korean culture suggests the younger ones should arrive earlier to mark respect. The red tie that Donald Trump wore is a colour that North Koreans like. While talks on denuclearisation are expected to be on cards, given the complexity of issues at hand there is much that could go wrong. Donald Trump is no longer seeing the negotiation with Kim as a one-night stand at which all issues can be sorted out. He now sees it as an extended process. That has increased the prospects for a successful summit in Singapore, where success could be defined as the building of some mutual trust between the two leaders, identifying an agreed destination, and preparing a broad roadmap to get there. What’s in it for Singapore? Although Singapore had not asked for the summit to be held at its shores, the city-nation’s PM said that Singapore was asked and it agreed. Singapore is one of the few countries which shares cordial relations with both United States and North Korea. This summit, which will cost the island nation 20 million Singaporean dollars, with security costs taking up half of that estimate, is likely to be a boost to local tourism industry what with the extensive coverage local places are currently receiving. As the world turns its eyes towards Sentosa Island’s Capella Hotel, the resort, with a Universal Studios theme park and man-made beaches, has already been immortalised for hosting the historic summit. Both Donald Trump and Kim Jong-un were engaged in a one-on-one interaction that lasted over 40 minutes. They are now headed to a larger meeting with aides. During the interaction, Trump was flanked by chief of staff John Kelly, Secretary of State Mike Pompeo and national security adviser John Bolton. They sat across the table from Kim and his team. As the two leaders met, Singapore navy vessels and air force Apache helicopters patrolled, while fighter jets and a Gulfstream 550 Airborne Early Warning aircraft circled. The Singapore summit with Donald Trump comes after Kim Jong-un crossed over to the southern side of the Demilitarised Zone for historic talks with South Korean President Moon Jae-in in April. In the summit in April, the first time one of the ruling North Korean leaders crossed over to South since fighting in the Korean War stopped in 1953, saw both the leaders lay the roadmap for a nuclear-free Korean Peninsula and permanent peace. The summit with Trump is the culmination of months of posturing and negotiating between top US and North Korean officials and comes less than two weeks after Trump reversed his decision to scrap plans for the meeting, which is set to take place in Singapore. Analysts say Kim’s diplomatic outreach in recent months after a flurry of nuclear and missile tests in 2017 indicates he is eager for sanctions relief to build his economy and the international legitimacy the summit with Trump would provide.